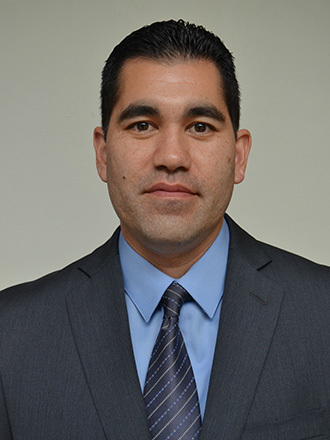 Carlos Rodriguez, M.D., Q.M.E., earned his Bachelor of Science degree from the University of Southern California in Psychobiology. He began to explore the mind/body connection and how it impacts our overall health. He pursued his interest in physical health by earning his medical degree from the University of California, Irvine School of Medicine. After graduating, Dr. Rodriguez furthered his study of this integration during a residency in Adult Psychiatry at the University of California, Irvine Medical Center. He later went on to complete a Child and Adolescent Psychiatry Fellowship at Harbor UCLA, serving as the Chief Fellow while he was there. After completing his training, Dr. Rodriguez worked in a variety of diverse settings. For over five years, he worked in an outpatient community mental health clinic. He treated children, adolescents, and adults with severe mental illnesses in an inner city community. This furthered his cultural appreciation and allowed for a greater understanding of each person’s individual circumstance. He also supervises and teaches psychiatry, training fellows from UCLA each week as an Assistant Clinical Professor. Through his work as a treating psychiatrist and Medical Director of an adolescent residential facility, he has gained an understanding of the juvenile justice system, court reports, and forensic hearings. Working through complicated histories and situations has become the norm in his practice. Dr. Rodriguez has served as an expert witness in the Orange County, San Luis Obispo, and Los Angeles Superior Courts. He testified on numerous Writ, Riese, and conservatorship hearings. He has gained a significant amount of experience in forensic record review, report writing, and interviewing while working in the California correctional system and at Atascadero State Hospital. Dr. Rodriguez will bring this valuable knowledge and familiarity to his practice as a Q.M.E.